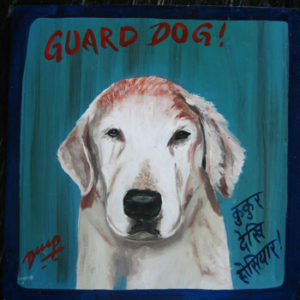 Dilip Niroj hand painted this soulful portrait of the handsome Buzz on a metal plate. 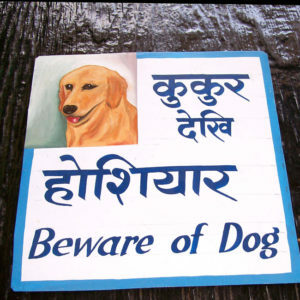 This truly captures this beautiful Labrador. 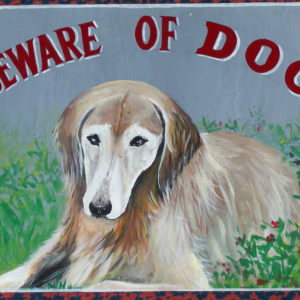 This is a true folk art version of Buzz the Golden Labrador Retriever. Those whiskers! 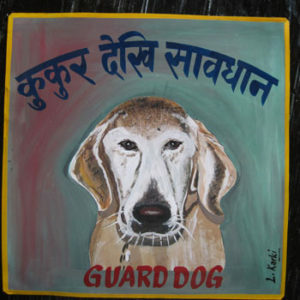 Lal Karki did a traditional Nepali version of this classic Guard Dog. 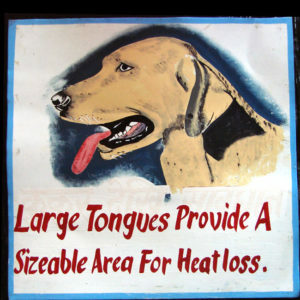 This one is extra large at 18 inches square. 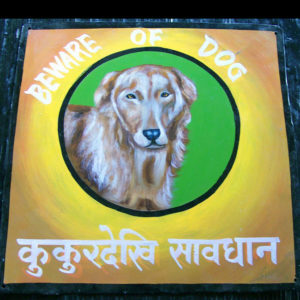 Gyan converted to Christiaity soon after painting this portrait of Willow the Labrador. 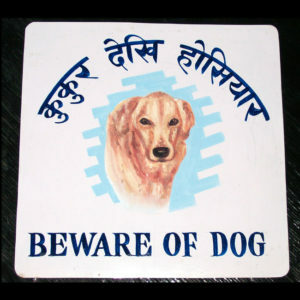 I'm not sure what this means, but it is sure to get a laugh. Well painted on recycled stock, this was painted from a black and white newspaper clipping. 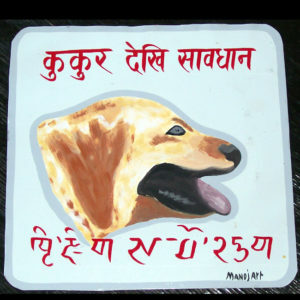 Krishna chose to make this dog brown. 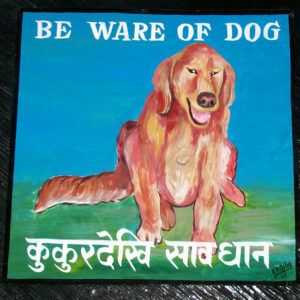 Very naive painting of a golden retriever by Manoj. The artist Ojna uses especially heavy metal in his portrait of Bijoux the Golden Retriever. Ojna’s studio has disappeared, I hope he is working somewhere else. Ojna also works as a professor of economics in Kathmandu. 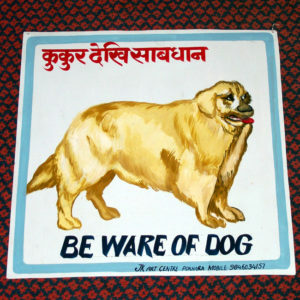 A classic beware of dog sign featuring a classic dog. 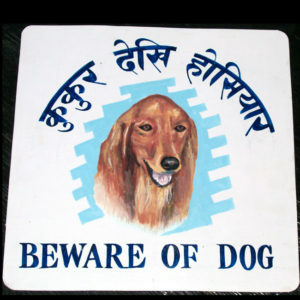 A classic beware of dog sign featuring a golden retriever. 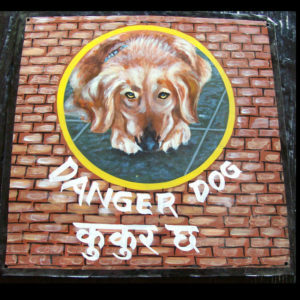 The coy pose of the Golden Retriever set in a circle surrounded by bricks is wonderful. Very colorful, painted in Sagar's traditional style. 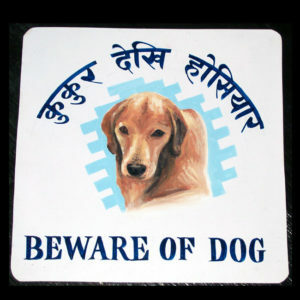 As on all of Sanjib’s portraits, this one is not meant for outside. 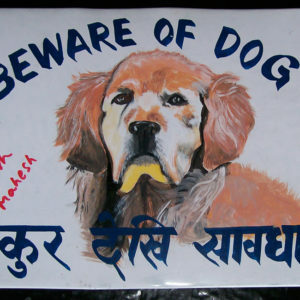 Sanjib uses acrylic paint. 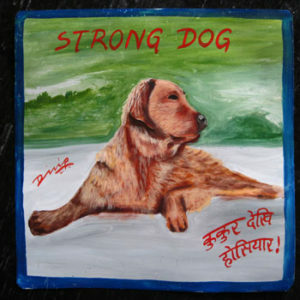 Dilip Niroj hand painted this naive portrait of the strong Golden Labrador Retriever Bentley on metal. This portrait of Flick is a little smaller than usual at 8″ by 11″ and is on particularly strong recycled metal. 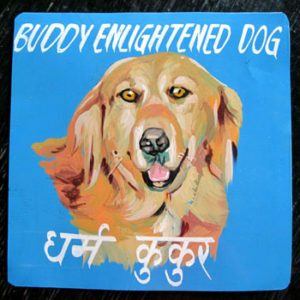 Nara hand painted this dramatic blue backgrounded portrait of Buddy the Enlightened Golden Retriever on metal.